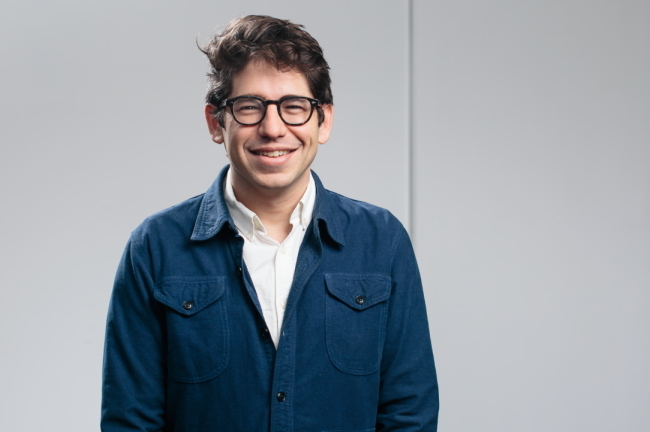 According to Yancey Strickler, his company Kickstarter offers a kind of intimate patron-artist relationship in the digital age, on a global platform with no geographical limits. “A community of patrons supporting artists as they made their newest work -- this is the way authors like Alexander Pope and Mark Twain, and composers like Mozart and Beethoven brought their work to life,” the firm’s co-founder and CEO told The Korea Herald in an email interview last week. Strickler, who propelled Kickstarter to become the world’s largest crowdfunding platform for creative projects, will be speaking at the Herald Design Forum 2016 at the Grand Hyatt Seoul on Nov. 8. Founded in 2009 and based in Brooklyn, New York, Kickstarter has raised over $2.5 billion through online crowdfunding. It has backed over 100,000 projects, founded 8,800 new companies and nonprofit organizations and created 300,000 new part-time and full-time jobs -- generating an impact of over $5.3 billion in direct economic gains for those involved. The concept is simple -- entrepreneurs can pitch their ideas to the global Kickstarter community, going straight to the public for funding. Due to this special relationship, and the notion of building something entirely from the bottom up, “creators often bring their backers behind the scenes of the process,” Strickler said. The investors get to witness projects coming to life as the creators are making them. In terms of projects, the Kickstarter community has funded nearly everything -- including Oscar-winning movies, Grammy-winning albums, local restaurants, food trucks, podcasts, board games and cutting-edge technology. “A snapshot of our projects today gives you a sense of what culture will look like in the months and years to come,” Strickler said. One of the platform’s most recent projects is “The Creative Independent,” which publishes one essay or interview from an established or emerging artist every weekday. “We hope it’ll be a new resource of emotional and practical guidance for creative people,” said Strickler. Last year, Kickstarter gained the status of public benefit corporation -- a designation that means the company must consider not only its financial obligation to shareholders, but also its impact on society.